Newly appointed Sri Lankan ODI captain Upul Tharanga may have the unenviable task of leading his side against a rampant Indian side in his debut outing as skipper, but the 32-year-old is hoping that the win over Virat Kohli's side in the Champions Trophy will boost their confidence ahead of the five-match ODI series between the two sides. Sri Lanka are going through some desperate times in all formats of the game having been whitewashed at home 3-0 in the Test series against India while minnows Zimbabwe stunned them 3-2 in a five-match ODI series. That defeat led to Angelo Mathews stepping down as skipper of the side in all formats but his successor is confident of a turnaround in fortunes soon. 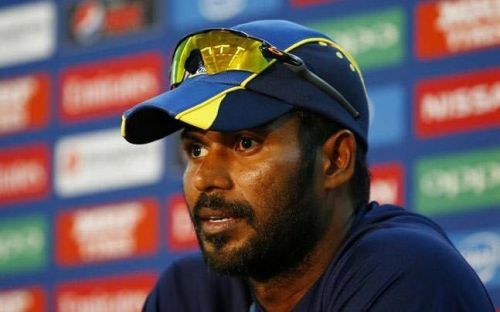 "We should try to play with confidence and the fact that we beat them in the Champions Trophy gives us lot of confidence," said Tharanga in the pre-match conference on Saturday. "We have got to forget the Test series and the mistakes we made. We did not play well to our strengths during the Test series. We have done well in ODIs in the last ten years. But the last 18 to 20 months has been a bit different. We have lacked confidence, that is the main thing,” he added. While Sri Lanka were expected to struggle against an in-form Indian side in the Test series, it was the manner in which the hosts surrendered against the Men in Blue, offering little opposition, that has the fans worried about their team's future. India won the opening Test at Galle by 304 runs before completing a clean sweep with an innings and 53-run victory at Colombo and a resounding win by an innings and 171 runs at Pallekele. Sri Lanka did spring a surprise at the 2017 Champions Trophy, chasing down the target of 322 against India but the fact that they were knocked out of the tournament at the group stage highlights the problem the team has been facing over the past couple of years. The abysmal showing in the Test series has led to pundits like Sunil Gavaskar predicting an easy win for the visitors in the ODI series as well, but Tharanga is hopeful that his side can address the issues the team are facing, especially the fielding and bowling. Another area of concern has been the fitness of the Sri Lankan players and despite the controversy involving Lasith Malinga and the Sri Lankan sports minister that erupted following their Champions Trophy exit, Tharanga maintains that the players are paying attention to the standards expected in the modern game. The Sri Lankan skipper feels that the side have not been helped by the big number of injuries that have plagued the selections but added that the players have to start performing more consistently to get the desired results. The five-match ODI series between India and Sri Lanka begins at Dambulla on August 20 before the action moves to Pallekele and then Colombo with the final match being played on September 3. India's tour of Sri Lanka will conclude with the lone T20I which will also be played at Colombo on September 6. Despite Upul Tharanga's words of optimism, it would be a big surprise if the hosts manage to get the better of India in the 5-match ODI series that begins on Sunday. Not only are the Men in Blue a side high on confidence, Sri Lanka's troubles in all formats of the game have been well-documented. It would require an enormous effort from Sri Lanka to defeat India but it does seem highly unlikely.